The main walking season in Scotland is from the Easter holiday (March/April) through to October. Balancing all the variables such as weather, number of other walkers, midges and available accommodation, the best months to walk the West Highland Way are June and September. April is unpredictable in terms of the weather. It can be warm and sunny, though blustery days with showers are more typical and snow may often still be lying on the hills. On the plus side, the land is just waking up to spring, there won’t be many other walkers about and you shouldn’t encounter any midges. As far as the weather is concerned May can be a great time for walking in Scotland; the temperature is warm, the weather is as dry and clear as can be expected, wild flowers are out in their full glory and the midges have yet to reach an intolerable level. However, the Way is exceptionally busy at this time of year and it can be a nightmare finding accommodation if you have not booked in advance. Many B&Bs take bookings in January or earlier for people walking in May. This is not the time to go if you like walking in solitude. You’d be far better off going in June which has all the advantages of May without the crowds, though make sure you don’t pick the weekend of the Caledonian Challenge or the day of the West Highland Way race (see p14). The arrival of hordes of tourists in July and August along with warm, muggy weather brings out the worst in the midges. On many days you’ll be wondering what all the fuss is about; that’s until you encounter a still, overcast evening when you’ll swear never to set foot in the Highlands again. Campers are the ones who should really take note of this (see pp57-8) as everyone else can escape the torture behind closed windows and doors. On some weekends it can feel as if the whole world has arrived in the Highlands; traffic is nose to tail on the roads and many hostels and B&Bs are fully booked days in advance. Surprisingly, there can also be a fair amount of rain in these months. A slower pace of life returns when the school holidays come to an end. Early September is a wonderful and often neglected time for walking with fewer visitors and the midges’ appetites largely sated. Towards the end of the month and into early October the vivid autumn colours are at their best in the woods and on the hills but you are starting to run the risk of encountering more rain and stronger winds. The air temperature, however, is still reasonably mild. Late October and early November can occasionally be glorious with crisp clear days, but this is also the start of winter; the days are shortening, the temperature has dropped noticeably and many seasonal B&Bs, hostels, campsites and shops have closed. You need to be pretty hardy to walk between late November and mid March. True, some days can be fantastically bright and sunny and your appreciation will be heightened by snow on the hills and few people around. You are far more likely, however, to encounter the weather the Highlands are famous for; driving rain and snow for days on end on the back of freezing northerly winds. The following events use part or all of the West Highland Way. They may affect your decision about when to walk. Note that Conic Hill remains open to walkers year-round now, even during lambing. The exception is for walkers with dogs; see pp28-9 for further information. In addition to the events below there are several festivals in Glasgow (see p83). Fort William Mountain Festival (www.mountainfestival.co.uk) A hugely popular event held in February or March at the Nevis Centre. This week-long extravaganza began life as a mountain film festival but has grown to showcase not just films but all sorts of lectures and exhibitions. Scottish Motorcycle Trials (www.ssdt.org) Parts of the trail between Bridge of Orchy and Fort William are used for these six-day trials each year. This usually takes place over the first full week in May. Walkers can continue using the trail at this time but there’s obviously some disturbance. 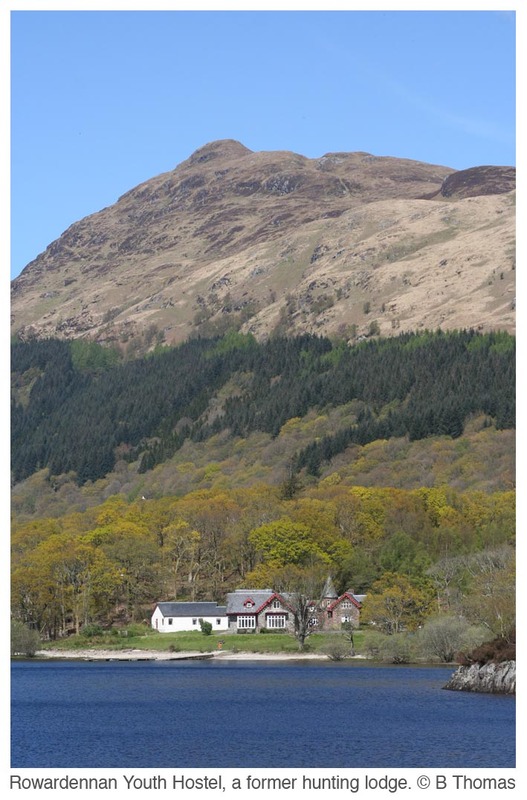 There’s also lots of competition for the accommodation, particularly in Kinlochleven. Caledonian Challenge (www.caledonianchallenge.com) Taking place over one weekend in June each year, this is the largest outdoor corporate fund-raising event in Scotland. Up to 2000 walkers in teams of four cover various sections of the trail raising funds for local charities. Unless you are participating it is wise to avoid walking at the same time as the event. West Highland Way Race (www.westhighlandwayrace.org) This also takes place in June but has far fewer entrants than the Caledonian Challenge for obvious reasons. The idea is to race from Milngavie Station to Fort William Leisure Centre, setting off at 1am and hopefully finishing before noon next day, ie to complete the entire West Highland Way in just 35 hours. The record for men was broken in 2015 by Paul Giblin who did the route in 14 hours 20 minutes and 11 seconds. Lucy Colquhoun holds the women’s record, taking 17 hours 16 minutes and 20 seconds in 2007. Ben Race (www.bennevisrace.co.uk) If you are in the Ben Nevis area on the first Saturday in September try to watch the Ben Race when up to 600 fell-runners reach the summit and return to the glen in ludicrously short times. This spectacle began in 1895 when William Swan ran to the top and back down in 2 hours 41 minutes. Today the men’s record stands at 1 hour 25 minutes 34 seconds, and the women’s 1 hour 43 minutes and 25 seconds (both set in 1984, by Kenny Stuart and Pauline Haworth).